Recognized each year on October 13, World Thrombosis Day (WTD) is a global effort sponsored and organized by the International Society on Thrombosis and Haemostasis (ISTH) to help increase awareness about thrombosis or life-threatening blood clots, including blood clots in the leg (deep vein thrombosis or DVT) and blood clots in the lung (pulmonary embolism or PE) by sharing important information about blood clot risk factors, signs, symptoms, prevention, and treatment, and by engaging medical partners, individuals, organizations, and communities around the globe. 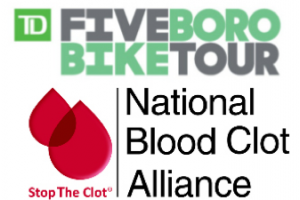 The National Blood Clot Alliance (NBCA) is pleased to be an ongoing partner in this effort, and we encourage you to get involved too. You can take time to share your experience or important information about blood clot risks and signs and symptoms with your family, friends, and contacts. Visit the National Blood Clot Alliance on Facebook, Twitter, and Instagram in the week leading up to October 13 for some new graphics that you can easily share with your social media networks to highlight blood clot risks, signs and symptoms, and prevention. Sign up to be a WTD Partner and find out about events taking place in a location near you. Join the WTD Twitter Chat on October 12, at 10:00 a.m. Eastern. Use the hashtag #ClotChat via Twitter. 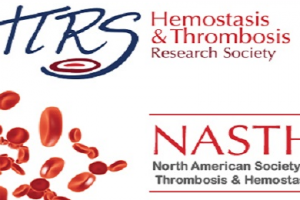 Register for the free symposium on Friday, October 12, from 2:00 p.m. to 5:00 p.m., at Lenox Hill Hospital, in New York, New York, which is co-hosted by the International Society on Thrombosis and Haemostasis, Northwell Health, and the National Blood Clot Alliance. Of special note this year, U.S. Skeleton World Champion and blood clot survivor Megan Henry reached out to NBCA to share the news that she is presenting to the athletes at the Olympic Training Center in Lake Placid, NY, in recognition of World Thrombosis Day. During her presentation, which NBCA helped her prepare, she is sharing her personal story and highlighting blood clot risk factors that some athletes may face, such as hormonal birth control, hospitalization and surgery, and immobility due to travel. 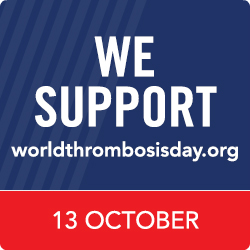 The impact of thrombosis, including DVT and PE, is far-reaching. 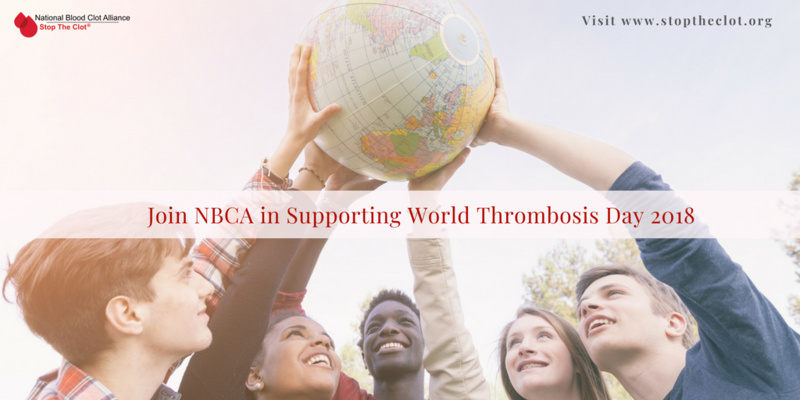 NBCA encourages you to connect with us on our social media channels, where we share the most current, important, and relevant information about blood clots every day of the year. Connect with us on Facebook, Twitter, Instagram, Pinterest, and in our online peer-to-peer support community. Use the hashtags #stoptheclot #spreadtheword when sharing important information about blood clots. We also encourage you to join our social media sharing initiative Share to Stop the Clot®. Once you do, you will receive early access to NBCA’s new educational and awareness-building campaigns and tools, as well as access to content that you can share to the social media platform of your choice. 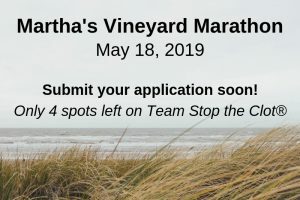 All of your likes, shares, comments, retweets, pins, posts, and stories helps us enormously in our mission to educate as many people as we can about blood clots, and to share information that helps to save lives.